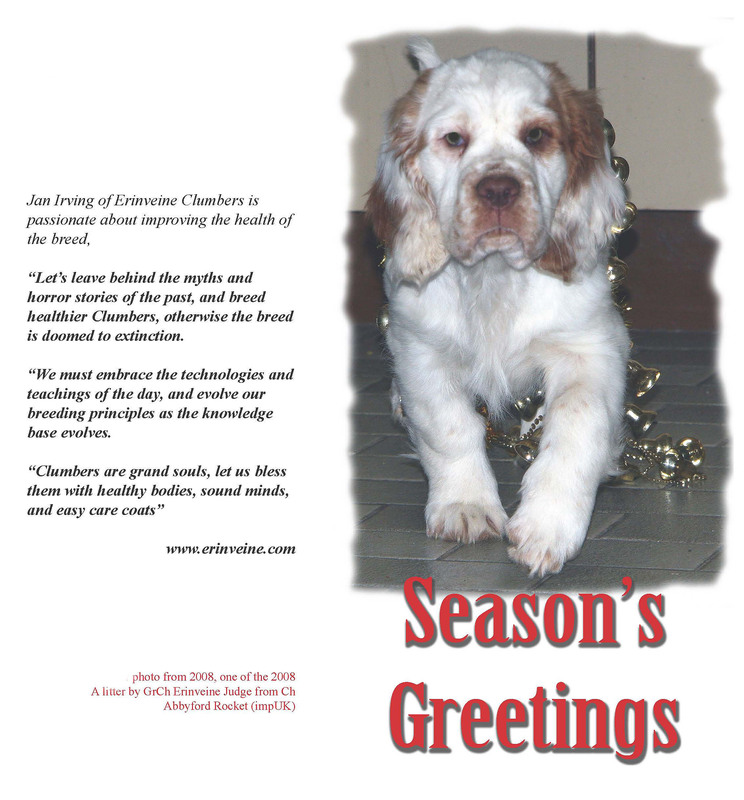 Erinveine Clumbers | est 1958! 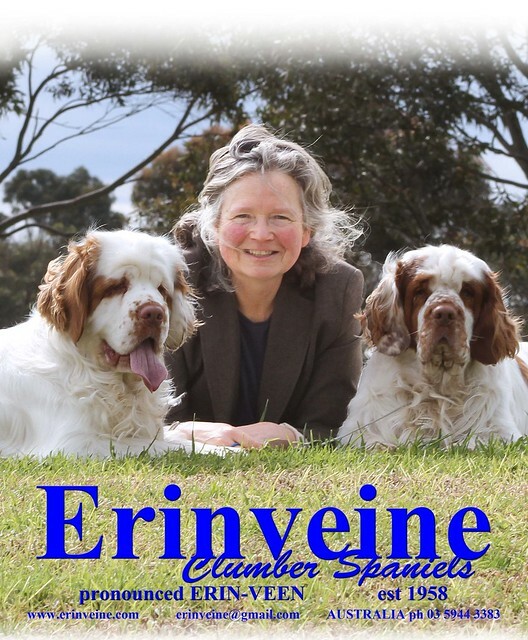 Clumbers are the sole dedication of the Erinveine Kennel, where we proudly move with the times and adopted proven best knowledge based practices. Our website contains a wealth of information and thousands of photos of many of the dogs we have been so lucky to share our lives with. Please use the menus above or check below our intro photo for more. Experience has moulded our protocols and practices. 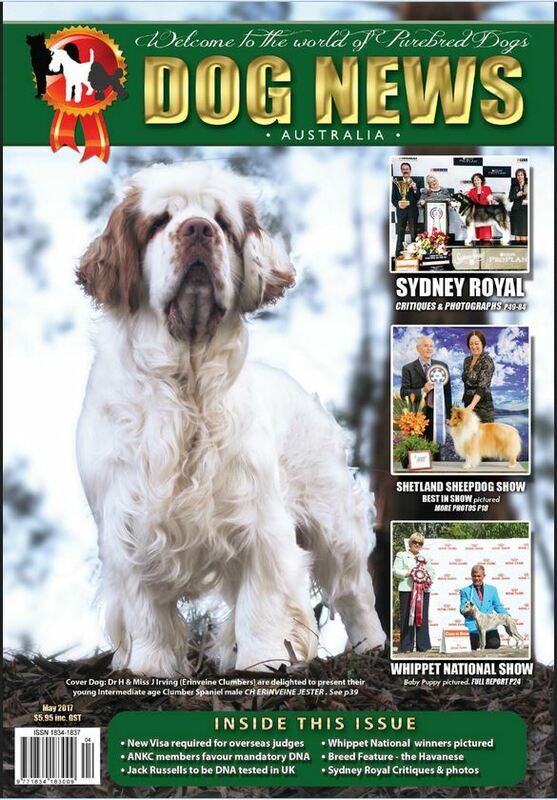 We are passionate about Clumbers, passionate about breeding great characters with excellent health and long lived … sometimes, of course, Mother Nature can throw a curve ball, but that is no reason not to think about the outcome and the causes and get on with our responsbility to this enchanting breed. 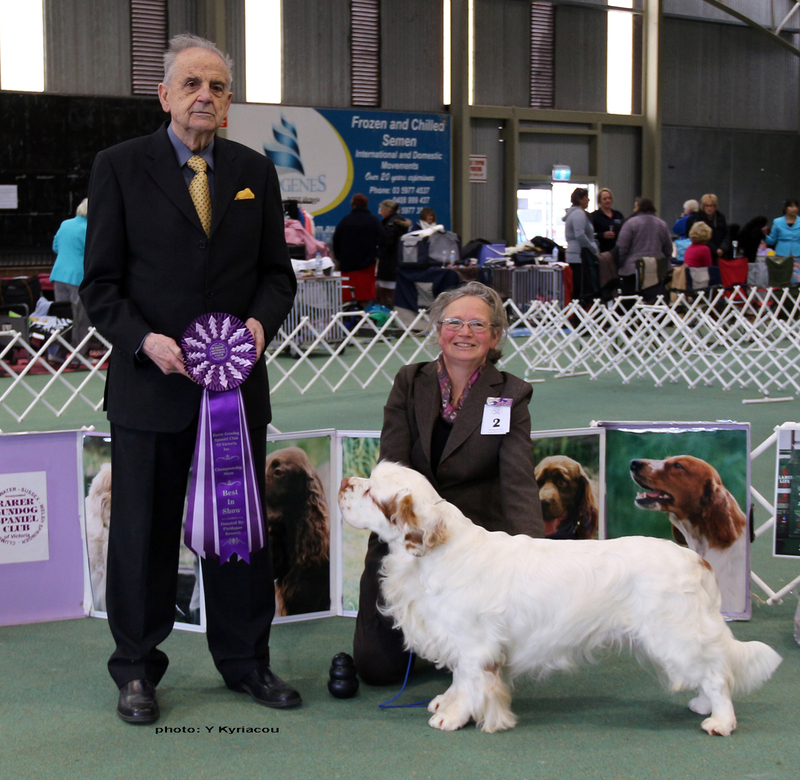 Just because we bred a dog is not qualification in our eyes to show or breed it. BUT, our main wins are listed via our dog’s biographies. and conceivably work in heavy low lying growth with the ability to clamber over logs, dive under logs, work in heavy undergrowth without ploughing in a freeway for vermin to decimate the game population, climb river banks, carry found game, seek out hiding game, tirelessly day after day without causing injury to the dog or the vegetation he is worked in. We are happy to work in partnership with dedicated people who are interested in breeding better Clumbers, please contact Jan.